Storage Concepts was delighted to be contracted by Odin Estates and Hillarys Developments. 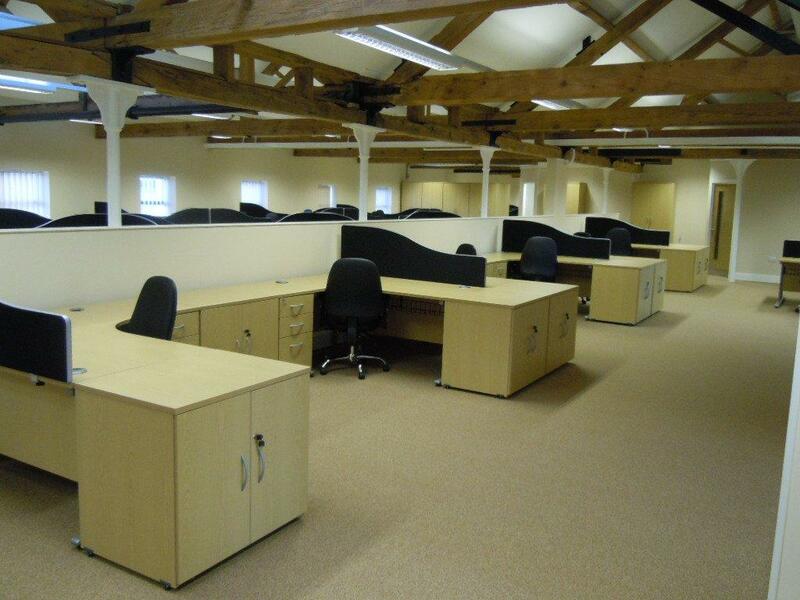 To provide fit out and refurbishment works, within a Grade II listed Malsters Building in Burton on Trent. The original contract works commenced in 2007. This has involved the installation of a two storey stairwell core with feature staircase and 8 person passenger lift together. 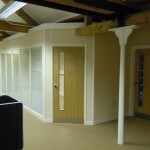 With full speculative interior fit out of ground, first and second floor offices. 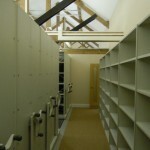 Storage Concepts carried out a full turnkey installation package. 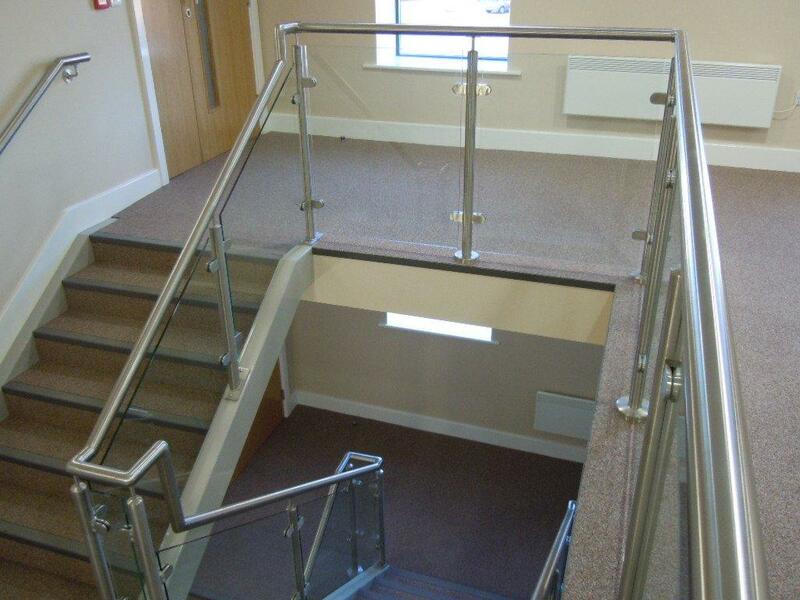 Providing plasterboard partitioning, dry lining, new windows and doors, staircases, lift and all structural elements. 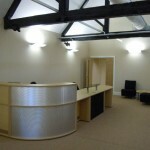 These offices were subsequently used as a showroom for the project and at time of writing in November 2011. Over 6,415m²/69,025ft² of offices have now been let to various tenants. The largest single let being to Bombardier Transportation who took 1,830m²/19,690ft² on the second floor of the Maltsters Building. 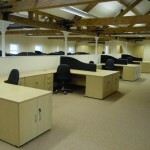 Storage Concepts were able to secure the fit out project works from both the developer and occupier. Resulting in a contract of circa 1 million pounds. 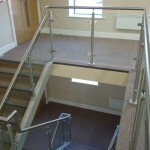 For the developer fit out works mirrored those completed in other areas of the building. Including shot blasting of timbers, supply and installation of new stairwell cores and all dry lining partitioning, electrics, plumbing and floor finishing to provide the shell build specification. Storage and Interior Concepts were then retained by Bombardier Transportation to carry out further work. With their interior fit out requirements for their own occupation including plasterboard partitioning, suspended ceilings and air conditioning. 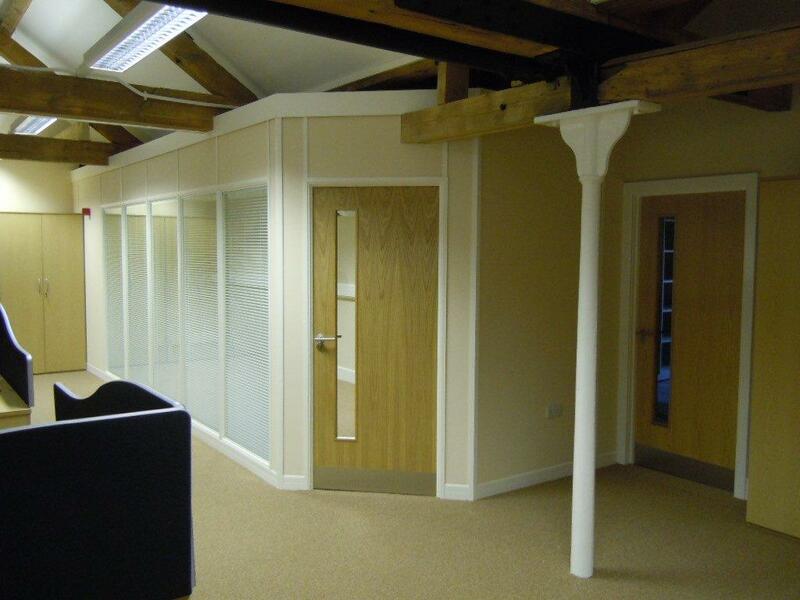 Storage Concepts were also retained to provide specialist Audio Visual Equipment for their meeting and boardroom area. With the following a separate tender process, had also secured the contact to provide all the office furniture including desks, seating and storage. A separate contract was also placed for the installation of mobile racking for archive storage and this included the need for strengthening the existing Maltsters floor to allow the dynamic loads imposed by the rolling racking system installed within the second floor facility. Storage Concepts were able to provide a turnkey package installation over an accelerated 14 week installation period. Time lapse cameras were used from start to finish of the contract, enabling the client to keep up with on site progress. It also serve as a useful visual record of the installation. Stewart Kidston of Bombardier Transportation worked closely with Storage Concepts throughout the construction phase and offered the following comment on completion. “It has been a pleasure to work with Storage Concepts and particularly their Director for the contract Colin Whittingham, we have been able to work very closely together in all aspects of the installation to ensure that the final finish product meets the needs of our growing business and everyone involved is delighted with the final result”. 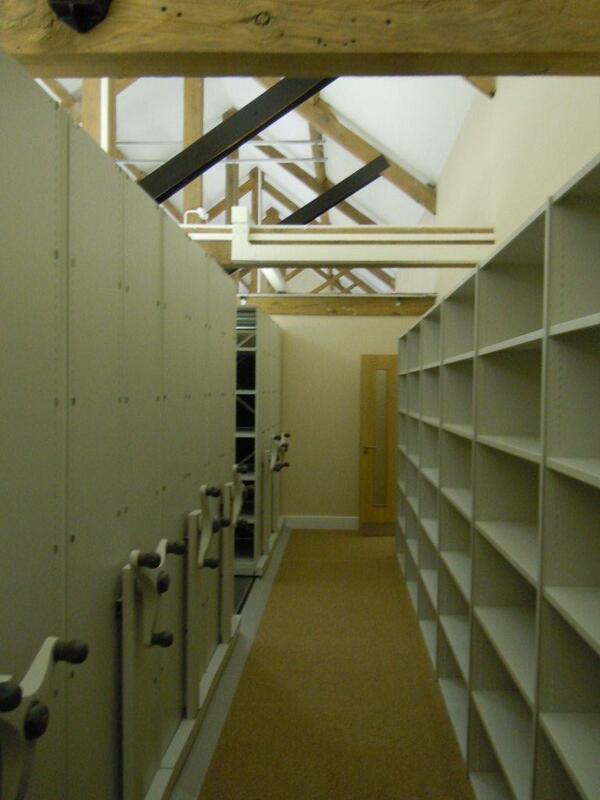 Storage Concepts continued to work with Odin Estates developing additional space within the Malsters Building. Which now includes amongst its occupiers East Staffordshire Borough Council. 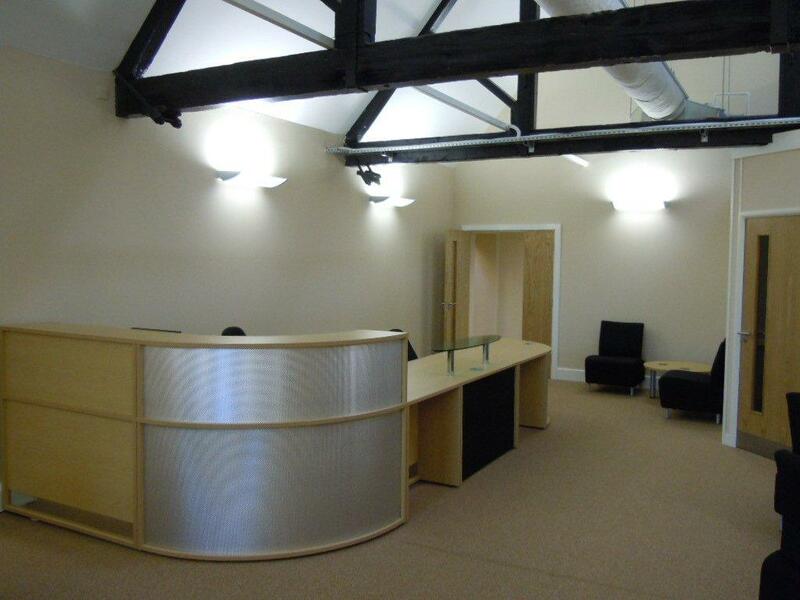 Their recently relocated planning, building control and senior management facilities. Colin Whttingham of Storage Concepts comments “this has been the most exciting building I have been involved with in the last 20 years bringing a Grade II listed building back into commercial use has been an exciting challenge and the aesthetics provided by the newly refurbished office areas for the new tenants is exceptional”. At time of writing further development space is available within the Malsters Building for further information contact either Colin Whttingham of Storage Concepts or Paul Rushden of Rushden Hickman, commercial agents acting on behalf of the developer on 01283 517747, Rushden Hickman Ltd, 186 Horninglow Street, Anson Court, Burton Upon Trent, Staffordshire DE14 1NG. Further project images are below.